4700 N. Grand River Ave.
Last edited by that Fish Guy; 05/27/2018 at 04:00 PM. Last edited by that Fish Guy; 05/27/2018 at 03:57 PM. 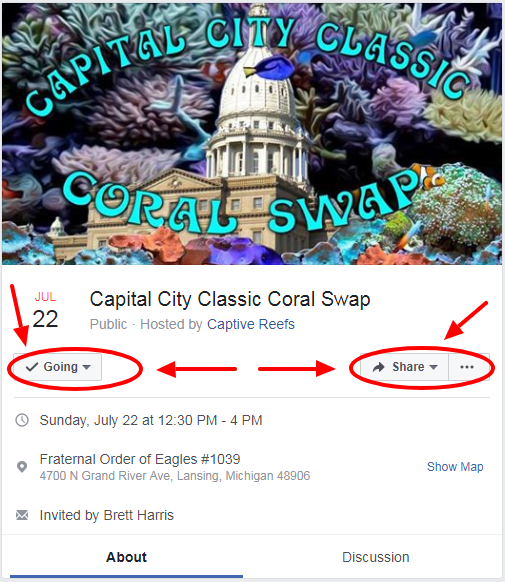 EVERYONE Please Remember to Mark "Going" or "Interested" on the Capital City Classic Frag Swap (Lansing, MI) Facebook Event Page. Last edited by that Fish Guy; 05/27/2018 at 03:58 PM. Last edited by that Fish Guy; 05/22/2018 at 02:14 AM. Last edited by that Fish Guy; 05/24/2018 at 12:16 AM. Last edited by that Fish Guy; 05/27/2018 at 02:52 PM. Last edited by that Fish Guy; 05/22/2018 at 04:09 AM. 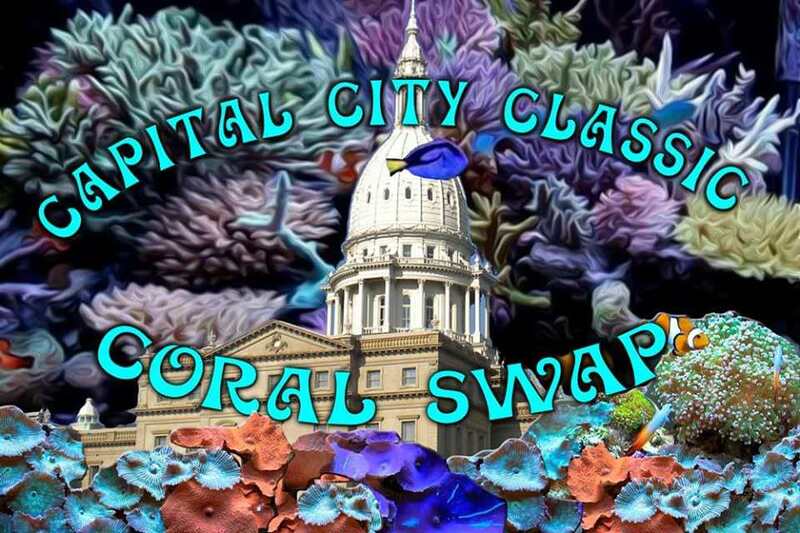 The Capital City Classic Frag Swap (Lansing, Michigan) is just 8 Weeks Away !!!!!!!! The Capital City Classic Frag Swap (Lansing, Michigan) is just 6 Weeks Away !!!!!!!! The Capital City Classic Frag Swap (Lansing, Michigan) is just 5 Weeks Away !!!!!!!! The Capital City Classic Frag Swap (Lansing, Michigan) is just 4 Weeks Away !!!!!!!! The Capital City Classic Frag Swap (Lansing, Michigan) is just 3 Weeks Away !!!!!!!! Looking forward to it! It's going to be great. The Capital City Classic Frag Swap (Lansing, Michigan) is just 2 Weeks Away !!!!!!!! The Capital City Classic Frag Swap (Lansing, Michigan) is just 1 Week Away !!!!!!!! The Capital City Classic Frag Swap (Lansing, Michigan) is just 5 Days Away !!!!!!!! The Capital City Classic Frag Swap (Lansing, Michigan) is just 4 Days Away !!!!!!!! The Capital City Classic Frag Swap (Lansing, Michigan) is just 3 Days Away !!!!!!!! The Lansing Frag Swap (Lansing, Michigan) is TOMORROW !!!!!!! How did it go? good turn out? we need frag swaps over here in the UK! Had a Great Time at the Lansing Summer Frag Swap !!!! Big Thanks to Jim for Putting on the Swap and Everyone Else that Helped Out.